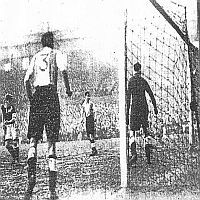 It's a welcome return to the Games To Remember feature and to 1-0 FA Cup win against Hartlepools United that was played in the days when the FA Cup was a massive competition. Fifty years ago today Burnley faced Chelsea in a First Division game at Turf Moor with the home club creating headlines throughout the football world the day before the game when manager Harry Potts announced the team. This 'Game to Remember' came when Burnley had, without doubt, had a difficult start to the 1997/98 season under new manager Chris Waddle, but by the time we played Bournemouth in October things were beginning to look up. With Christmas six days away, Burnley went into their pre-festive home game against Sheffield United in 1964 with a team much changed from the one that had lost the previous home game to Liverpool, and with a teenager from the reserves making his debut. Back on the 3rd December 1960, just fifty years ago today, I was looking forward to going to Turf Moor to watch the reserves play Huddersfield Town in the Central League. More than once recently I've seen comments on the message board from proud dads who had given a son or daughter their first ever Turf Moor experience. Games to Remember returns for the first time in over two years and this time we look back at a game between Burnley and Chelsea played in April 1977. I made a big mistake, made a few in my time, but one of them was not starting keeping diaries until 1976.